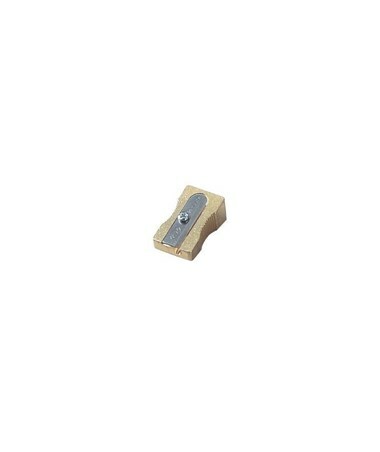 The Kum Single-Hole Brass Wedge Sharpener Display (Qty. 48) is a three-inch high cylindrical display that is four inches in diameter. 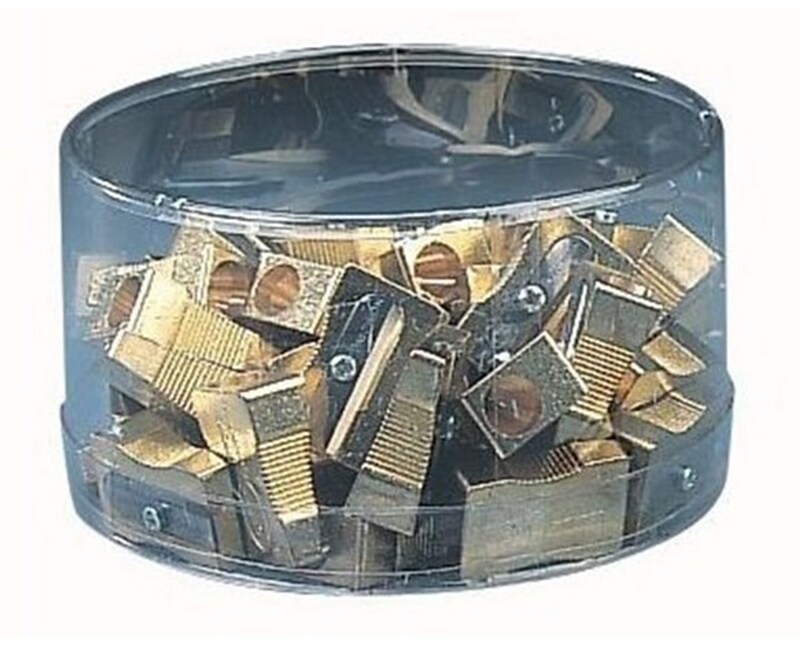 It contains 48 pieces of high-quality handheld pencil sharpeners for all drawing and drafting needs. 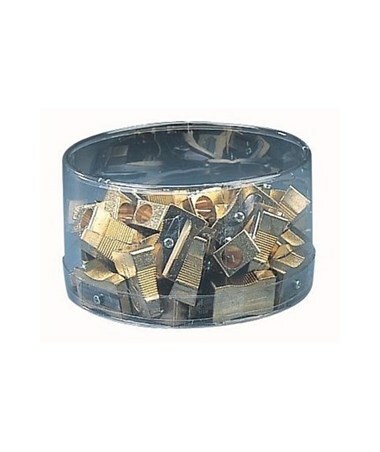 Each sharpener is wedge-shaped and comes with a single hole to accommodate all standard-sized pencils with round, hexagonal, or triangular profile. 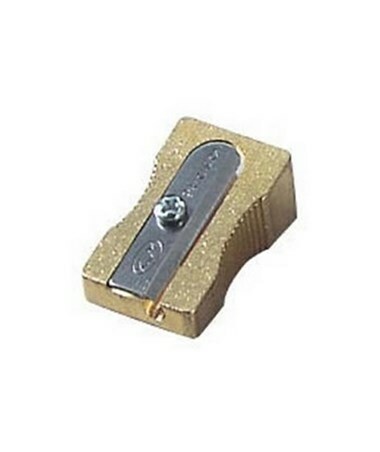 Designed for precision, the Kum Single-Hole Brass Wedge Sharpener Display (Qty. 48) is made of milled massive brass. It is equipped with an extra hard high-carbon steel blade that provides excellent sharpening. With a recessed grip zone, it is easy to hold and allows non-slip and convenient use. It is sleek and attractive with its hammered and polished surface.